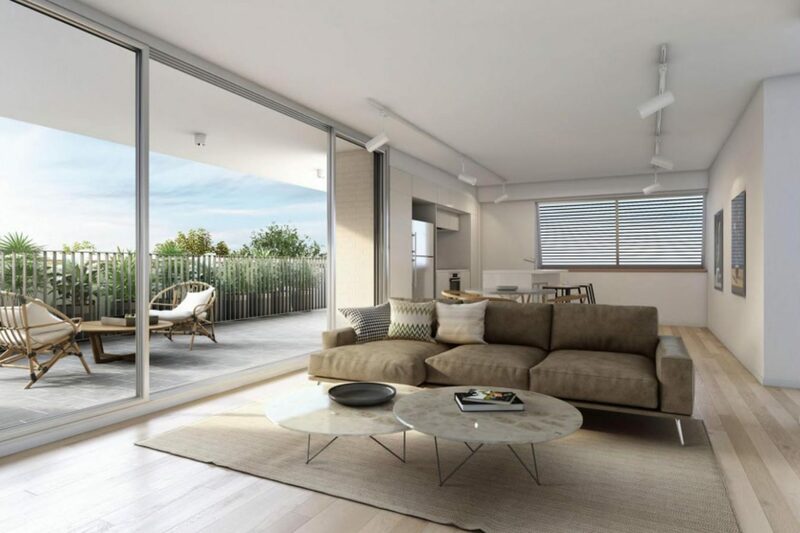 Allawah Central’s design takes full advantage of the building’s location on the edge of Joy Mead Park, with every apartment enjoying living spaces and large outdoor terraces oriented towards the adjacent parklands. 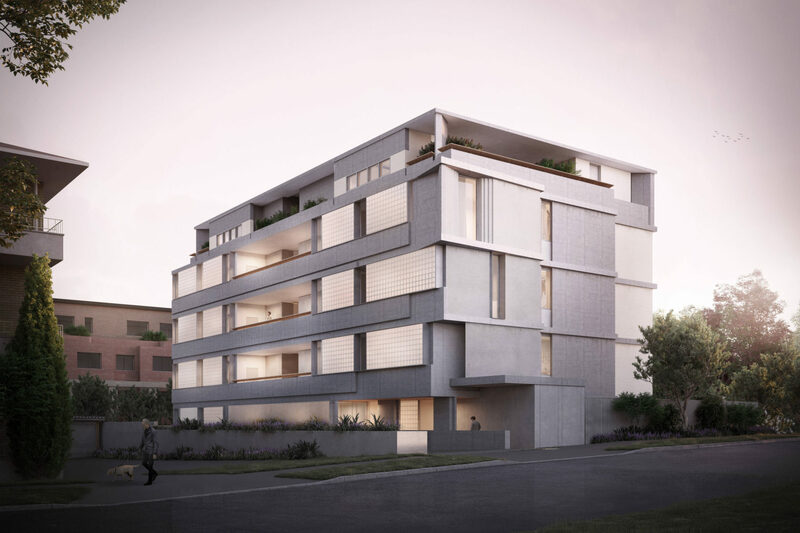 Multiple aspects and open plan layouts facilitate the provision of natural light to the apartments as well as natural cross-ventilation and thermal comfort. The need for privacy is combined and balanced with the provision of light and views towards the park. 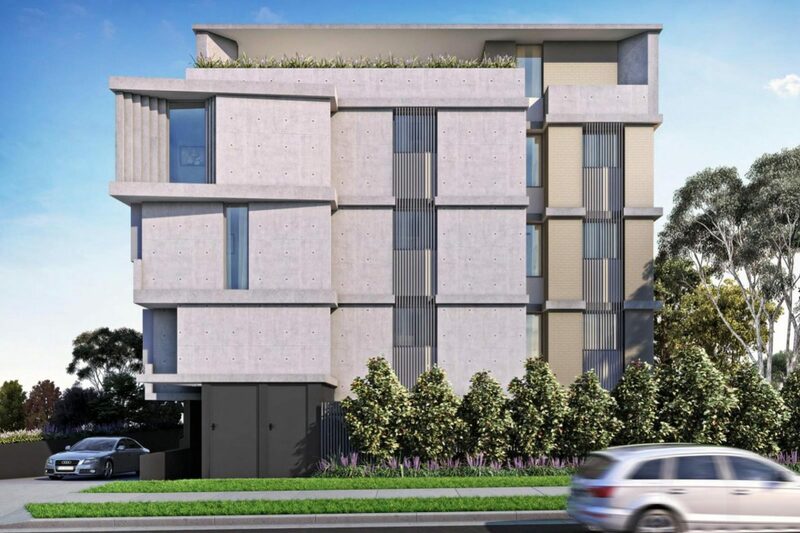 Refined detailing and articulation of corners creates a building with four unique and varied facades that enjoy depth, shadow and light throughout the day. The project utilises a sophisticated but simple palette of durable quality materials, including off-form concrete, Australian hardwood timber, brick, and glass blocks, with sympathy to the natural surroundings of the site These materials were chosen for their innate low maintenance, robust characteristics, as well as their aesthetic qualities; both immediate and as developed through the patina of age.